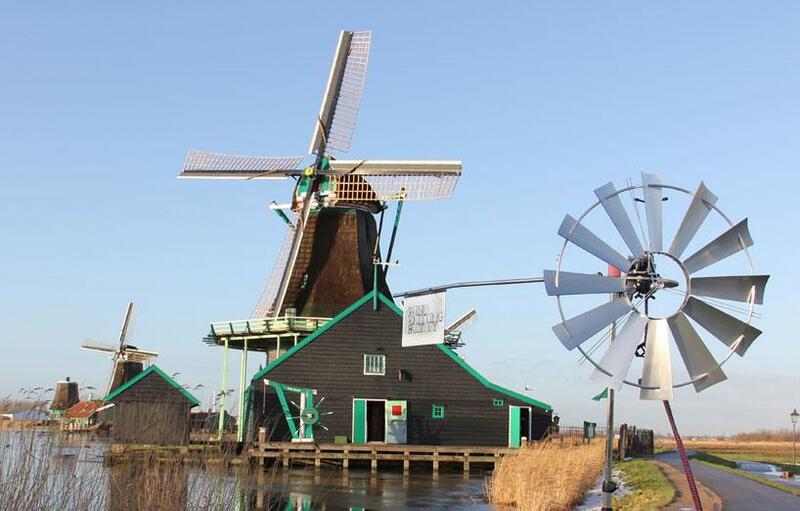 While everyone’s ogling over the new Google Glass or Samsung Galaxy S4, out there in the historic mining hub of Zaanse Schans in the Netherlands, Merel Karhof is reimagining new ways to power technology with a sustainable resource. The London-based designer isn’t concerned with touchscreens, bendable glass, or smartphone factories – she’s busy making an entire line of furniture using wind power. Better known as the Windworks project, Karhof has created a series of machines that harvest energy from the wind to turn raw material into furniture structures. The machines take three major roles: The first one saws the wood into furniture frames, the second crushes color pigment to dye yarns, and the third knits said yarn into seat cushions. Karnof also installed a pennon to help control the amount of wind power harnessed; since more wind results in faster machine activity and slower wind allows more control, the pennon lets workers choose when to turn the facility away from the wind direction if things become too rapid. Together, the three machines take the bulk of the work away from human workers, leaving them with the final task of upholstering the pieces into one complete furniture item. 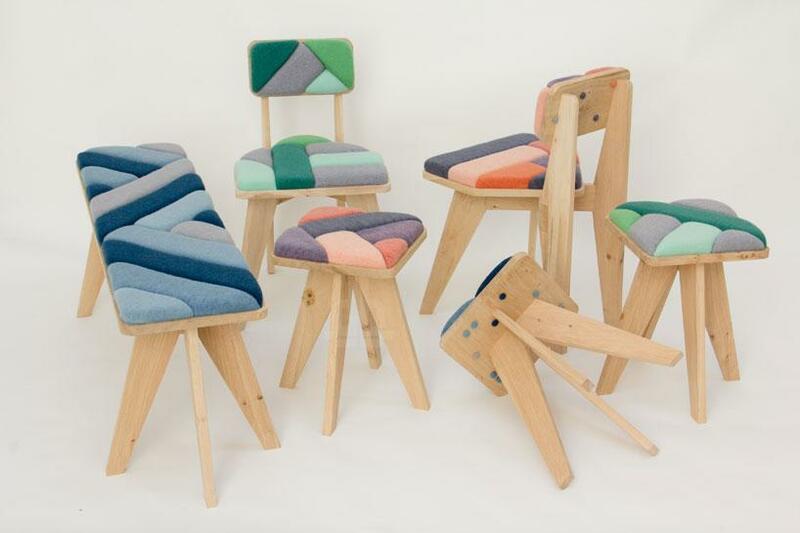 The current collection includes chairs, benches, and stools with cheerful color schemes. Each piece are imprinted with the amount of time it took to produce the item. This isn’t Karhof’s first project inspired by wind. Her previous collection via the “Wind Knitting Factory” produced a smaller scale collection of scarves using the similar air-powered contraption. At the time, Karhof set up the windmill right outside of her studio’s window and harnessed energy from an ordinary brisk day. For the Windworks collection, she selected Zaanse Schans thanks to its collection of well-preserved historic windmills set to give her a large, endless supply of the inexhaustible energy source. While it may not be the most efficient and time-saving way to create a furniture collection, the Windworks pieces are extremely eco-friendly and boast a bright, nature-inspired aesthetic. There are no words on how much each of the pieces will cost, but here’s hoping more will emerge to market so we can support sustainable approaches to furniture production.